There are few times in an aeroplane when conditions require you to act swiftly without thinking. When one of those situations occurs, however, your survival—and that of your passengers and those under your flight path—depends on spring-loading your reactions to do the correct things in the proper order. Why is it so important to be ready to act rapidly in some emergencies? What techniques may reduce the time it takes you to do the right thing? 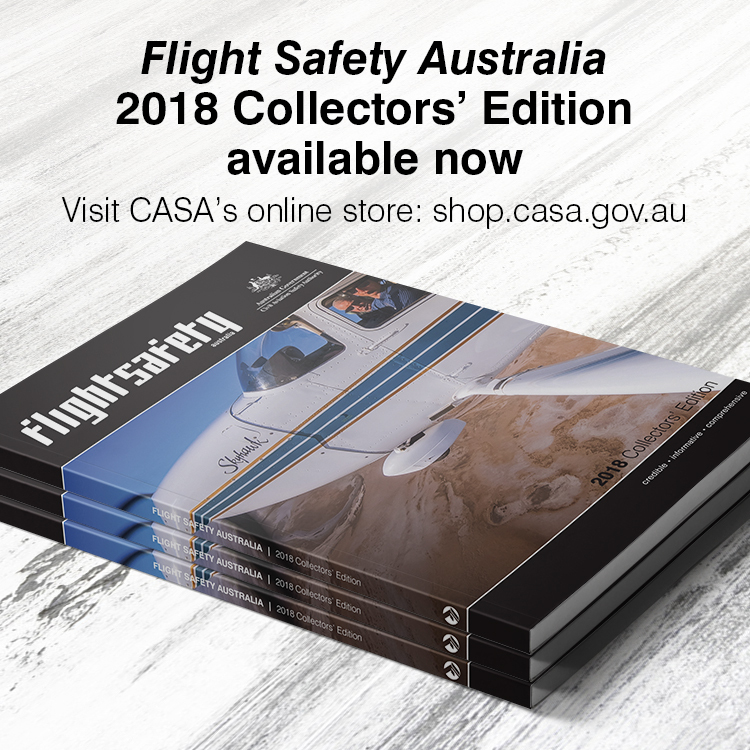 How can you focus on those few conditions that require immediate action, without getting bogged down by trying to memorise and practise the entire pilot’s operating handbook? 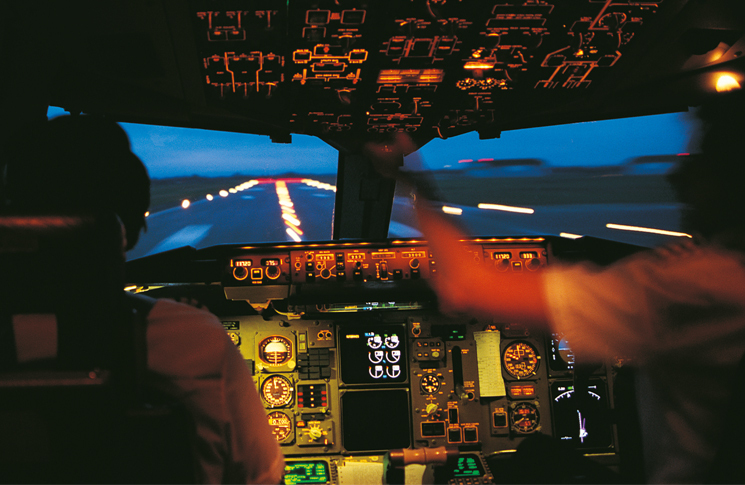 In his book Human Factors in the Training of Pilots, Dr. Jefferson Koonce cites research into pilot reaction time when faced with an unexpected potential threat. Although the specific threat being studied was a mid-air collision, the results apply to just about any type of unexpected emergency condition in an aircraft. According to Koonce, it takes a pilot roughly six seconds to detect a change and recognise it as a substantial threat. After recognition, it can take the pilot as much as four additional seconds to decide how to respond to the threat, half a second for muscular response to the decision to make a control input, and up to two seconds for the aircraft to change its flight path in response to that control input. That’s as long as 12.5 seconds from the time a hazard becomes apparent to the point the aeroplane is responding to the pilot’s commands. During those 12.5 seconds—one-fifth of a full minute—the aeroplane is not yet reacting to a needed change. For the first half of that time the pilot is in denial that any abnormality or emergency has occurred at all. For the first 10 seconds the pilot has not yet made a control response at all; they may actually be resisting the needed change by subconsciously tensing up on the controls and forcing the aeroplane to continue on its original flight path. Let’s look for example at what’s likely to be the most hazardous emergency of all, an engine failure immediately after take-off. Consider the pilot’s response to engine failure in a single-engine aeroplane. Shortly after establishing a climb attitude the aircraft’s engine suffers a power interruption. For purposes of this discussion this could be a partial or a total engine failure—it doesn’t really matter. When the engine quits, the aeroplane is already at a fairly high pitch attitude and relatively low airspeed, in other words, at a high angle of attack. The pilot, not yet recognising the failure, subconsciously applies additional back pressure to maintain pitch attitude as the nose dips downward. This increases the angle of attack even more. It also causes the pilot to input more up elevator into the slipstream, increasing drag. Airspeed spirals down as angle of attack raises up. By the time the pilot recognises the engine failure and decides on the need to reduce angle of attack, they will have to push the nose down aggressively to avoid a stall. Any delay, confusion, or indecisive action becomes tragic. What happens when one engine of a multi-engine aeroplane fails shortly after take-off? The pilot’s response is the same as that in a single-engine aeroplane. The difference is that in a single, the aeroplane tends to continue along the path of controlled flight, at least until the pilot makes it stall, while in a twin, asymmetric thrust makes the aeroplane immediately begin to depart from controlled flight in all three axes. The pilot’s reaction time, during which they may tense up on the controls in an attempt to subconsciously maintain a climb attitude, makes the departure all the more rapid and dramatic. Single or twin, this is why I teach pilots to give themselves a last-minute verbal briefing just before advancing the power for take-off: ‘In the event of an engine problem I will PUSH the nose forward and HOLD heading with rudder.’ The PUSH emphasises the point that, by the time the pilot decides to act, it will take an aggressive downward pitch change to get the aeroplane to the landing without power (single engine and sometimes twins) or VYSE ‘blue line’ speed in twins. The HOLD stresses the need to prevent a loss of control, and also that in many aeroplanes attempting to level the wings with aileron while at a high angle of attack may actually hasten a stall because of adverse yaw. Expect an engine failure. The last-minute PUSH and HOLD briefing exists to remind you what immediate actions to take if an engine fails shortly after take-off. As least as important, though, giving yourself this reminder just before taking off puts you in the mindset that engine failure might actually happen in the next couple of minutes. This may shorten the time it takes you to detect a failure and correctly respond—a second or two or three less before doing the right thing can make a big difference in the outcome. Actively watch for abnormalities. Don’t just push the go-levers forward and roll down the runway, scan the power, fuel flow, oil pressure and temperature and exhaust gas temperature gauges (as appropriate to the aeroplane you fly) immediately after power application and then at least once during the take-off roll. Be spring-loaded to chop the throttle and apply as much braking as necessary to come to a stop if you note anything wrong. Don’t wait until the aeroplane is in the air to experience whether the engine is developing expected power. 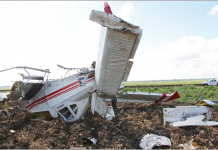 Engine failures or roughness at less critical times, say, while in cruising flight, may give you more time to act by virtue of altitude and added speed when the failure occurs. Left unchecked, however, these failures will quickly devolve into more critical scenarios too. No matter what the cause, success depends on you being spring-loaded to do the right thing. In a higher-altitude engine failure or roughness you must FLY THE AEROPLANE and AIM SOMEWHERE. ‘Fly the aeroplane’ means keep the airspeed (angle of attack) under control while keeping the wings level unless intentionally commanding a shallow-bank turn. Why might you turn intentionally? To ‘aim somewhere’ in case your attempts at resolving the engine issue do not result in a restart—you don’t want to waste time accomplishing restart checklist steps if you’re flying away from the only decent landing zone. While maintaining control and heading toward an airport or emergency paddock should you need it, if altitude permits you might try to restart the engine. Recall that an engine needs three things to develop power: fuel, air and a source of ignition. This makes it extremely easy to remember how to attempt a restart—do only whatever you can do from the pilot’s seat to affect fuel delivery, induction airflow and ignition. If you do those four things—carb heat, fuel, mixture, ignition—and the engine does not restart, there’s nothing you can do from the pilot’s seat to fix the problem. Glide to the best possible landing. Do those things, arranged in order of the historically most likely causes of engine failure or roughness, and if the engine does not restart you’ve done all you can do. Glide to the best possible landing. Take a look at the engine failure or rough-running engine checklists for the aeroplane you fly. 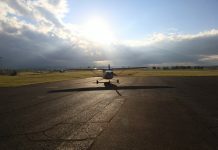 Chances are it comes down to flying the aeroplane, manipulating the fuel, ignition and induction systems, and transitioning to glide if your attempts don’t work. Know and practise this easily remembered checklist and you’ll be spring-loaded to act in the event of any type of engine emergency. There are only a few other scenarios that demand an absolutely immediate response. Engine fires, electrical fires, rapid pressurisation loss in pressurised aircraft, engine-out glides, and emergency descents are about the only situations besides engine failure. As we’ve found with engine-out checklists, a few minutes with the checklist for each of these listed scenarios will reveal only a few steps to remember. Engine fire? Fly the aeroplane, aim somewhere, cut the fuel, get smoke out of the cabin, and transition to glide. Electrical fire? Fly the aeroplane, aim somewhere, shut off the electrical system, ventilate the cabin, activate only absolutely essential electrical equipment and land the aeroplane. Rapid decompression in a pressurised aeroplane? Don oxygen, make an emergency descent if needed, and descend to an altitude where supplemental oxygen is not needed. Engine-out glide? Minimise the drag and pitch for the ‘best glide’ speed. Emergency descent? Minimise power, maximise the drag, roll and pitch down to emergency descent speed. Read and follow your aeroplane’s emergency checklists. But I bet you’ll find in most cases these easily remembered steps do everything each of the checklists tells you to do. Here’s the big secret: with the exception of engine failures and the procedures listed above, and maybe one or two additional scenarios in the aeroplane you fly, there’s nothing else you have to memorise in the emergency procedures section of your handbook or flight manual. Some manuals, in fact, collect everything else in a separate section labelled ‘abnormal procedures’. The distinction is that emergency procedures include actions you must take quickly from memory without time to look them up, while abnormal procedures are those in which you have time to open up the manual, then read and do the checklist steps. In some pilot’s operating handbooks the memory items in emergency checklists are even printed in bold print to make it easier for you to know what to memorise. 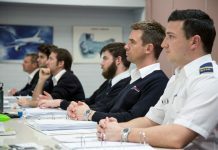 You will not be ready to act in those few cases when immediate action is required, unless you take the time to review and practise emergency checklists regularly, and you’re actively monitoring for the first sign of problems so you can act before you lose control of the situation—or the aircraft. In training we expect problems to occur, so we’re usually pretty quick to respond. In training, emergencies are a normal event—we expect things to go wrong. In day-to-day flying, however, we tend to focus instead on the goal (take-off, cruise, landing, manoeuvring) and expect things will go right. To act swiftly and correctly in the event of an actual emergency, you need to train and practise frequently enough to know what to do and when to do it. This may subtract time from the ‘decision’ half of a twelve-second reaction time. You also need to retain the training mindset in all your flying, constantly watching for indications something isn’t right. This will reduce the time it takes to recognise a problem in the first place, to ‘fly through denial’ quickly. Put the two together and you’ll be spring-loaded to survive an emergency. Well written article and I support the concept fully. You have to be ready for the inevitable before it happens and not rest on your laurels and staying in denial saying it will not happen to me. Use the mindset of “not if” but “when”. Thank you. This type of common sense is so useful and thanks again to CASA for this approach to air safety much better than “compliance police”. We are a responsible lot who love life. John Townsley +1 and +1. As Mr. Turner notes in this great article, 12.5 seconds is a long time to waste in our journey between symptom, recognition, denial, acceptance, and trained (but not ‘spring loaded) response. Thanks to Mr Turner and to CASA for the very useful insights and suggestions. CASA’s many articles are a “must read” when they arrive in my inbox. A very useful article but somewhat limited to engine “inoperative” situations for aircraft not fitted with ballistic parachutes such as a Cirrus where emergency procedures are more truncated generally allowing a tad more time to respond (even at relatively low altitudes). As I recall there is a minimum altitude for BRS deployment. Hubris and dependence on a techno fix as a substitute for competent emergency procedures is a sure path to disaster. Powerplant malfunctions occur below pattern altitude on takeoff, landing, and during legitimate low level maneuvers. A BRS is a wonderful tool when used within its operational envelope. Great article thanks; very concise, practical and relevant. Thanks for a great article, my greatest fear is fumbling through memorised checklists when they’re most needed. Anything to make it simpler and therefor less error prone is much appreciated.